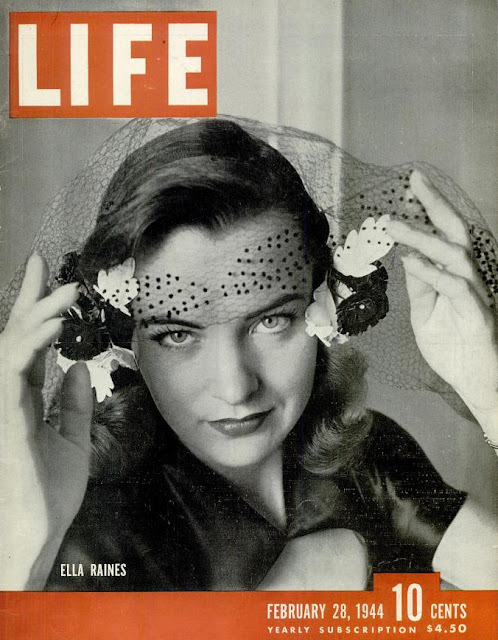 Ella Raines made the cover of LIFE magazine for the first time in 1944 (she would grace another LIFE cover in 1947). 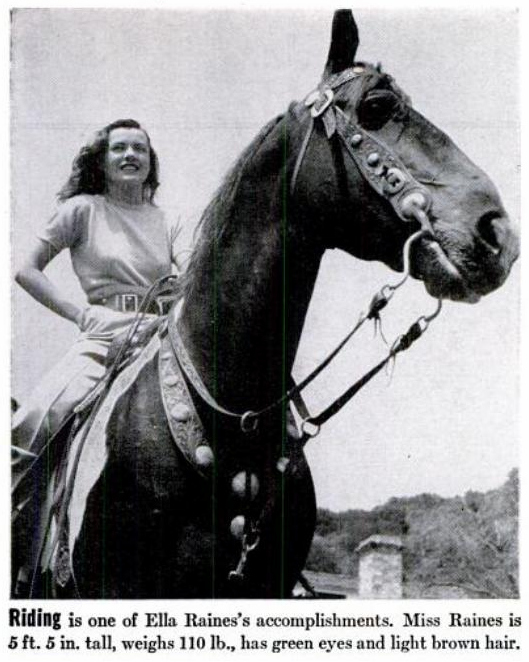 She has a large feature in the magazine, which runs over several pages and includes a dozen photographs. 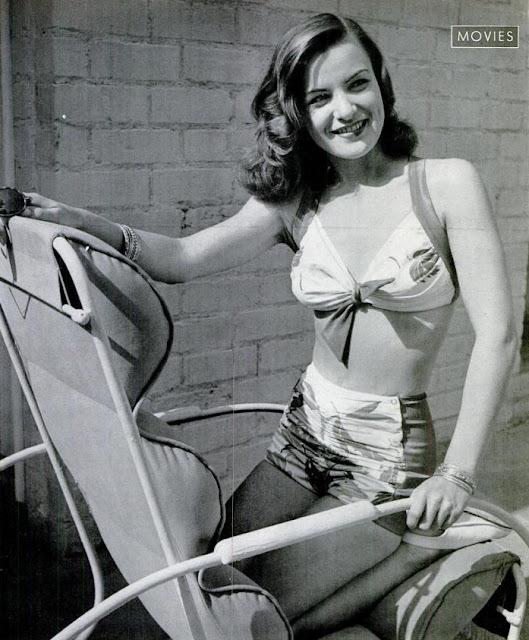 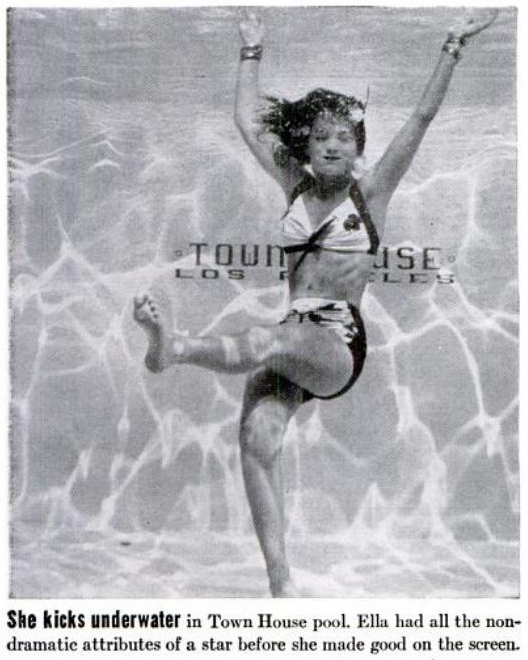 The feature on Ella Raines begins with a now-famous image of Ella Raines wearing a bathing suit. 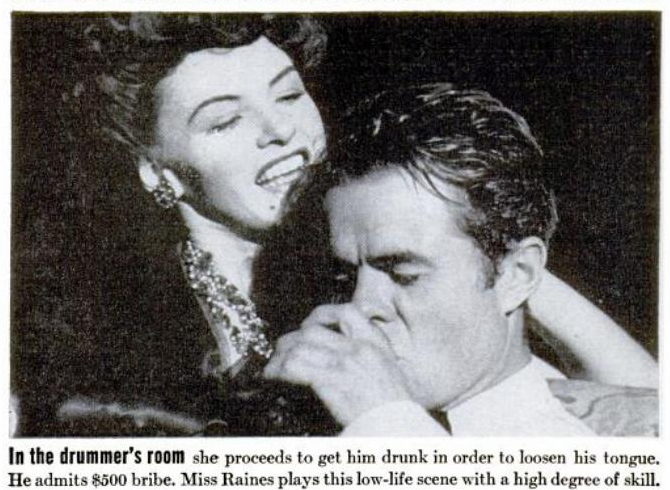 The picture is followed by a brief bio of the actress, which summarizes her career up until this point. 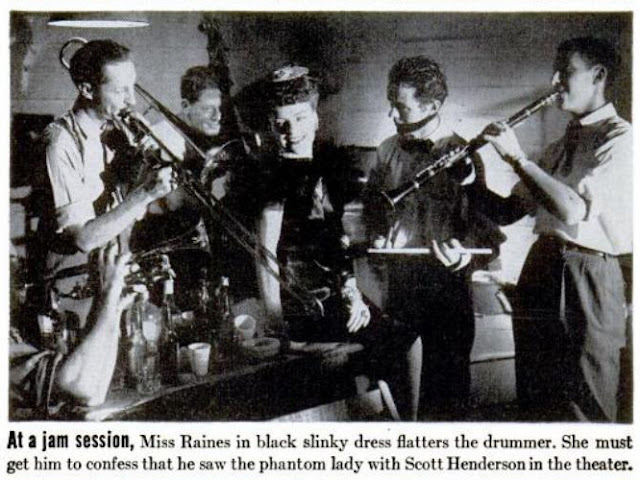 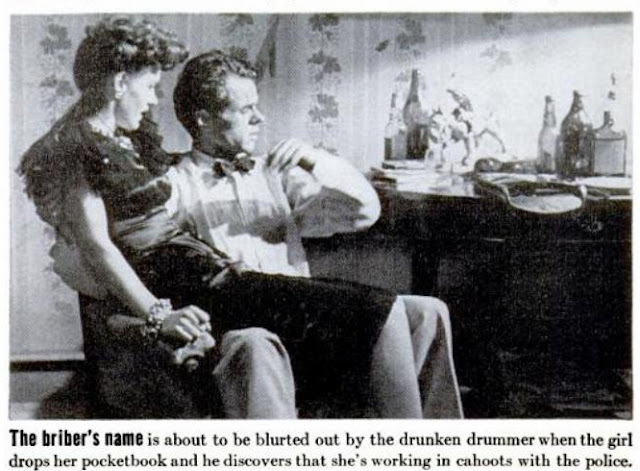 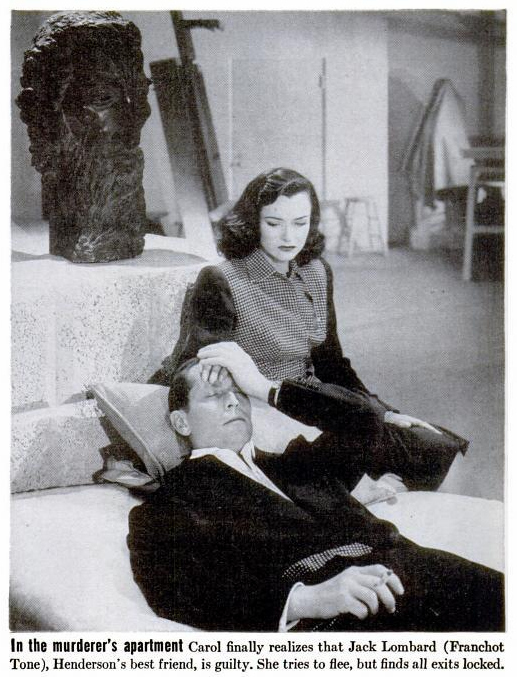 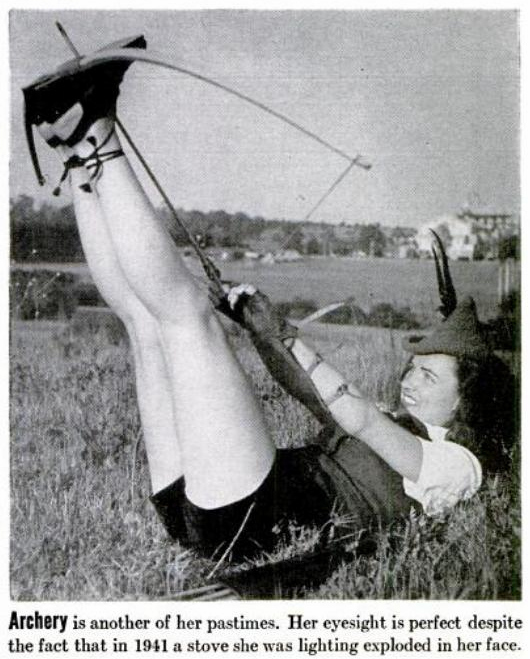 A six image pictorial comes next with further information about Ella Raines contained in captions for each picture. 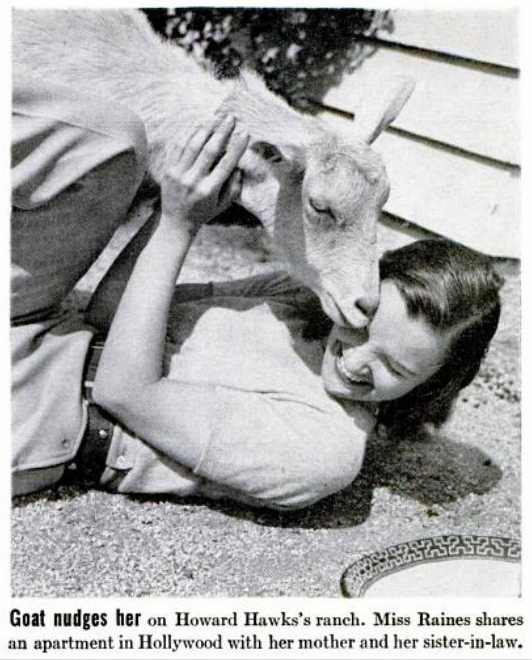 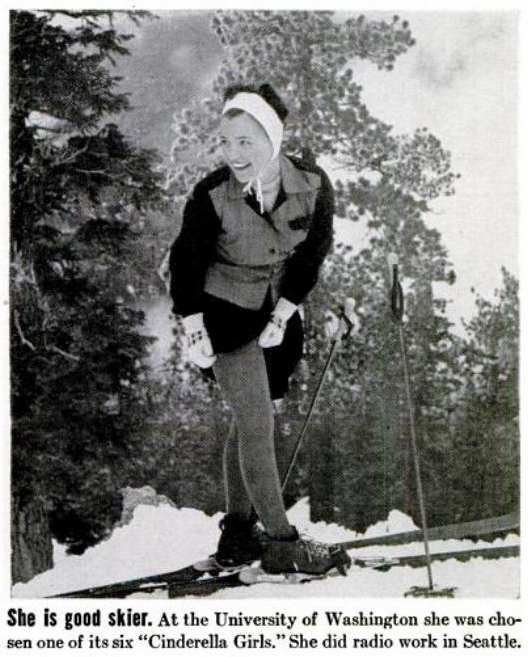 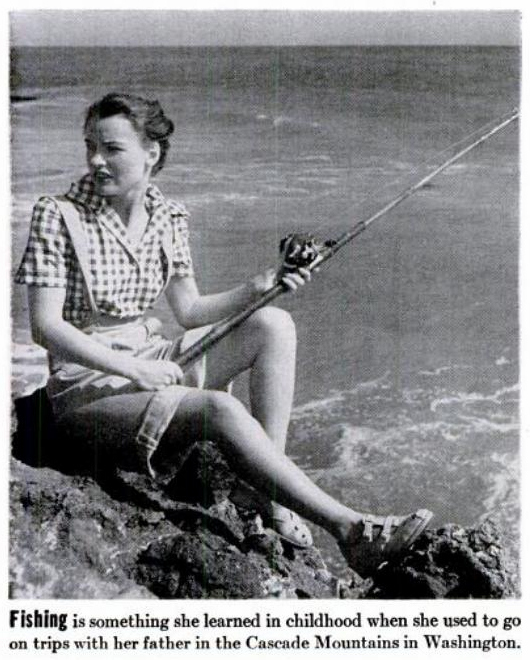 This pictorial serves to promote Ella Raines' image as a nature lover. 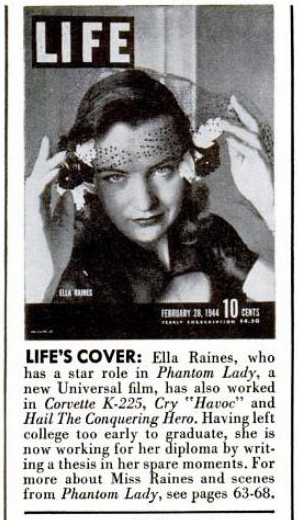 Next comes a feature on Ella Raines' role in The Phantom Lady, the film which this magazine article is trying to promote. 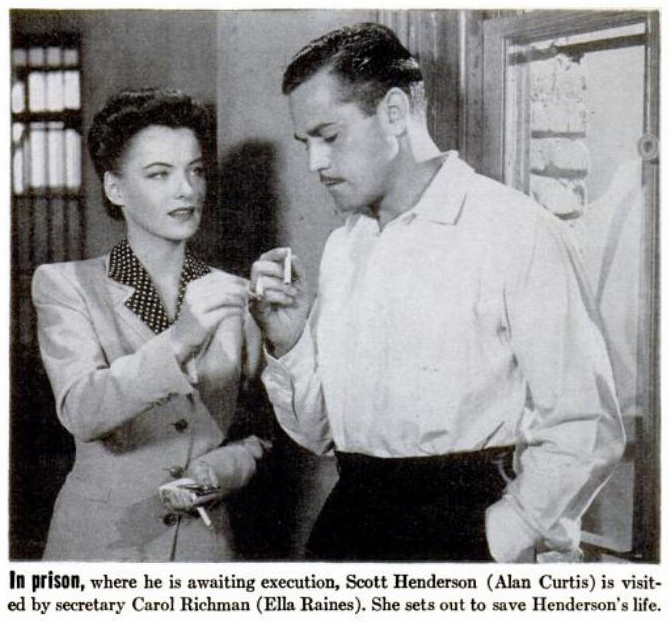 She is featured in a pair of photos here, one with co-star Alan Curtis and the other with co-star Franchot Tone. 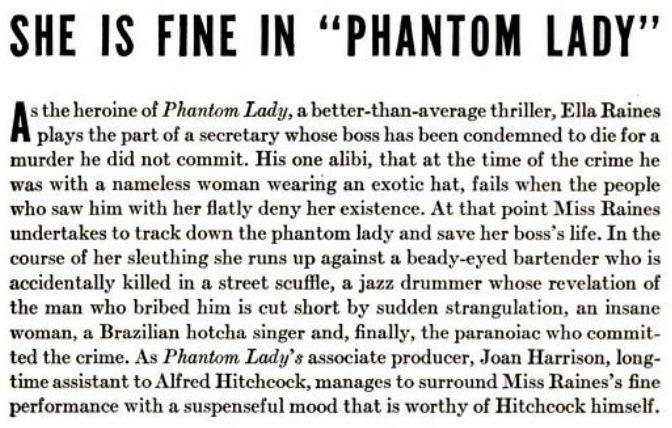 A small article is also included which gives some information about the movie. 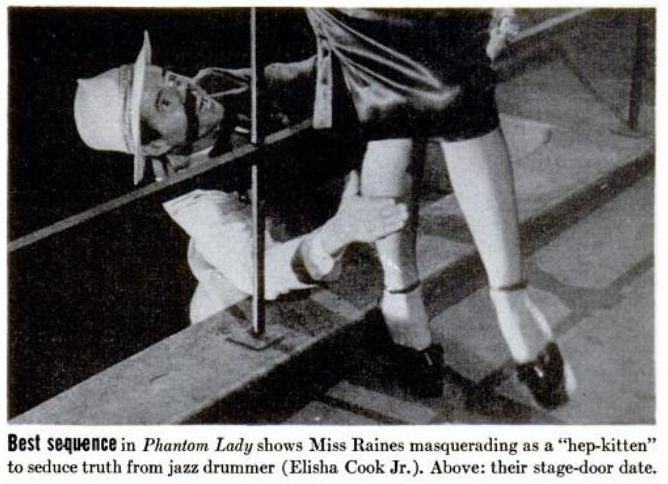 The feature on Ella Raines ends with a pictorial from The Phantom Lady, showing some of action she partakes in.